Google has started to release stock android apps, found only on stock android firmwares, like the ones found on the Nexus devices. Do not get fooled by the name stock, as it comes with all the bells and whistles, which makes it one of the best keyboard apps found on the Google Play store. 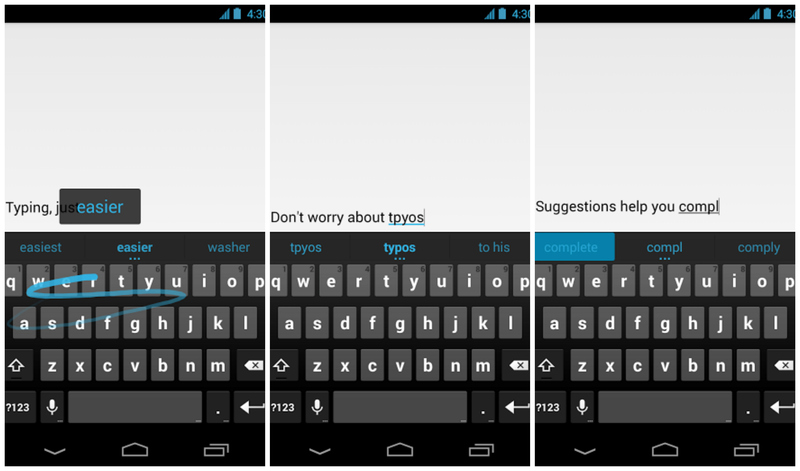 Google keyboard comes with gesture typing and predictive text features which makes typing a whole lot easier. I honestly do not need to say much as it is after all made by Google themselves, even though there is no shortage of keyboard apps found on the Play store, but when you know an app has Google’s backing, you can trust it to be bug free. So if you are using one of those devices which do not have stock android, they head over to the Play store and download this app now.